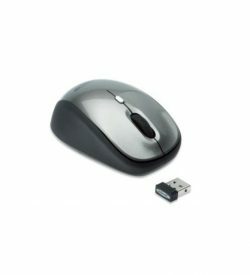 Mouse | View our catalogue products | SiliconBlue Corporation Ltd.
ednet Wireless Notebook Mouse is a reliable wireless mouse that has been designed specifically for use on notebook. 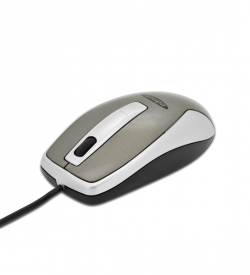 The optical mouse with 2.4GHz Nano USB receiver provides maximum flexibility. Notebook users will be amazed by the USB nano receiver. It can be transported in the battery compartment of the mouse either directly or remain in the notebook. The ergonomic design provides a high level of comfort and makes the mouse equally for right and left handers. 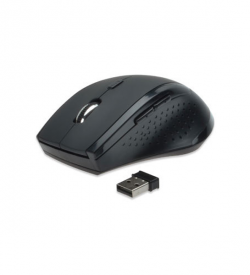 The ednet Wireless Mouse made possible by their functions and features an accurate control of the PC. For quick navigation quick scroll wheel is ideal. Through customizable sensitivity levels (800, 1600 DPI), the mouse can be adjusted to individual needs. The power save mode helps to conserve battery power.